On November 27th, members of the Joint Oireachtas Committee on Climate Action visited Tipperary. A groundswell of community-led action, supported by Tipperary County Council, Tipperary Energy Agency and local skills, training and education has created a small but significant low-carbon ecosystem. First the group visited a home in Nenagh which is one of 150 homes across the nation which has benefited from the SuperHomes Ireland scheme. 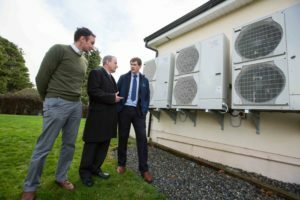 SuperHomes, a unique funding scheme that supports householders in bringing their homes to minimum A3 standard with renewable sources of energy has been spearheaded by the award-winning social enterprise Tipperary Energy Agency. It simplifies the deep retrofit process by bringing energy auditing, design procurement and grants to a one stop shop, giving a typical 60-80% reduction in household energy costs. The group then visited Youghalarra National School, one of 60 non-residential buildings which has been upgraded to date in Tipperary. The works were co-funded by the school and the Government through the Sustainable Energy Authority of Ireland (SEAI), supported by Tipperary Energy Agency and carried out by local expert contractors. The school building’s fabric and ventilation were upgraded and renewable heat and electricity installed. Similar works have been completed in SME, community organisation and public body buildings. 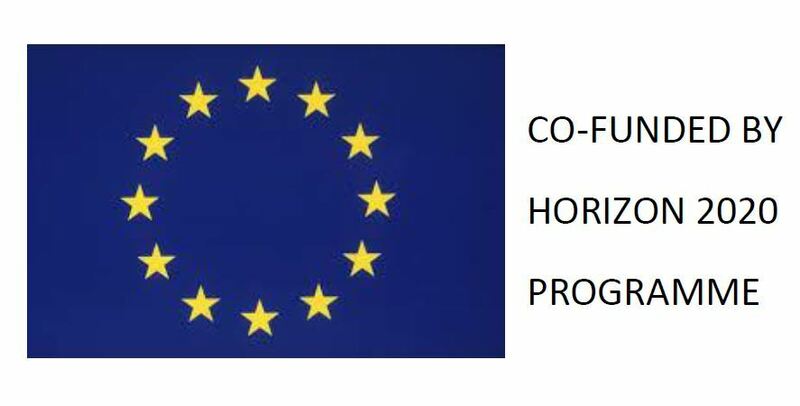 Cloughjordan Ecovillage is a unique project modelling the transition to a low-carbon society and economy, which was established over a decade ago on a 67-acre farm. 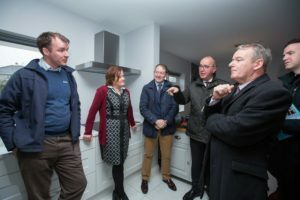 It is now home to 100 residents, a hostel, bakery, enterprise centre, woodland, allotments and Ireland’s first community-supported agriculture (CSA) farm. Research shows that the ecological footprint of a Cloughjordan ecovillage resident is less than half the average Irish citizen. Ecovillage homes and buildings are highly energy efficient and are heated by a district heating system fuelled entirely by renewable energy, estimated to save over 100 tonnes of carbon emissions annually compared to conventional heating systems.